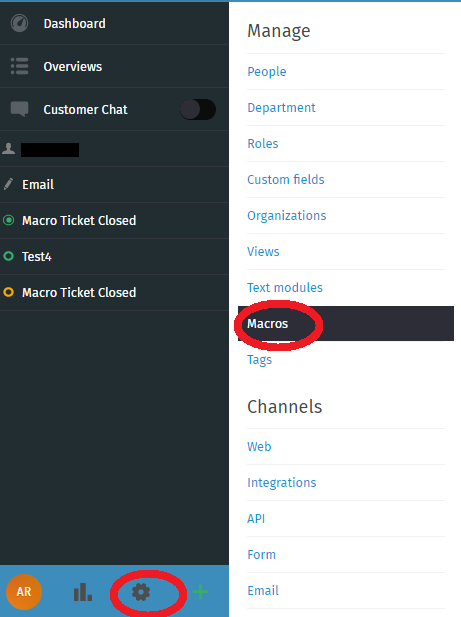 Go to AriticDesk Dashboard > Admin > Manage > Macros. At new page, click on “New Macro”. 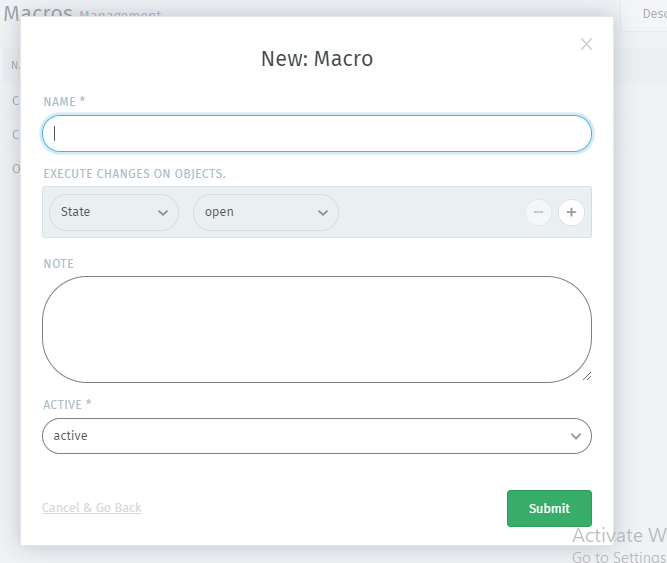 In a new popup window, fill all the desired blocks such as “Name of Macro”, “Execution Objects” etc. After this, click on “Submit” button.